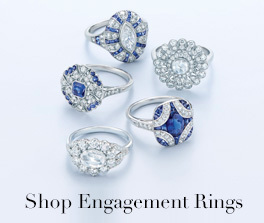 Classic style engagement rings are simple, iconic designs that offer timeless beauty. 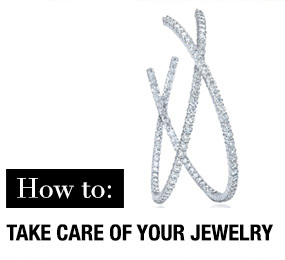 These effortless styles are traditional and refined; never outdated and always admired. 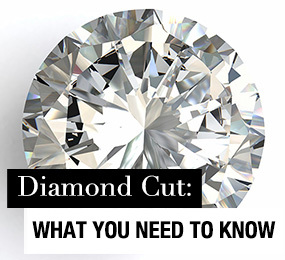 Classic styles defy trends: they are the original trendsetters! 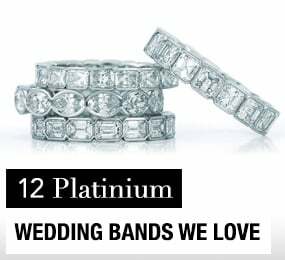 These styles are the quintessential engagement rings, with enduring elegance that will be appreciated and admired for generations. Classic rings display clean, symmetrical lines and thoughtful details that emphasize the beauty and quality of the featured stones. 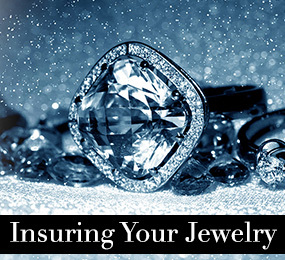 The woman who wears a classic engagement ring knows the secret to remaining fashionable throughout time. 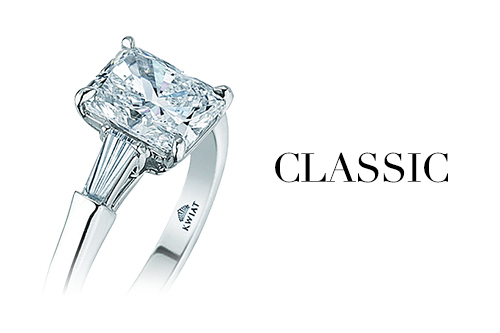 The classic woman is polished and poised, with a beauty that never goes out of style! She might be simple, but she's anything but plain. When she hits the light, she can outshine anything. She is the definition of class, with an elegance and grace the world can't help but admire time and time again. 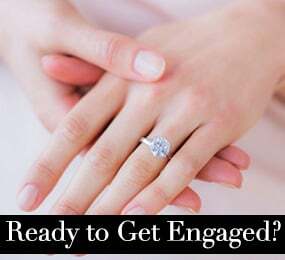 The vintage style engagement ring embodies specific art movements and trends from many eras, including mid-century, retro, art deco, Victorian, antique, and others. 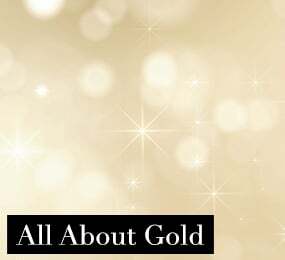 These gorgeous designs draw inspiration from the most glamorous and luxurious historic fashions. 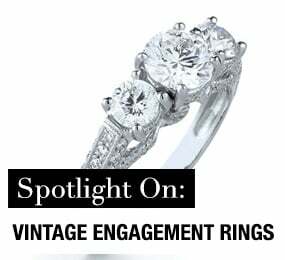 Featuring increased embellishment and fine details, the vintage style engagement ring style displays and celebrates the most beautiful trends from the past that continue to fascinate. Intricate patterns, lacy swirls and regal spires encrusted and surrounded by smaller stones, vintage designs sparkle and shine with unapologetic opulence. The vintage woman effortlessly makes yesterday's style her own. 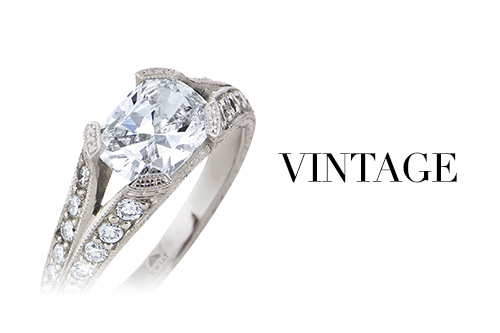 The vintage woman is romantic, feminine, and regal. Classy, with an old-fashioned refinement and select taste, she has a deep appreciation for artistry and surrounds herself with beauty. Her style defines her and she wears it with grace and confidence. She is lovely and exquisite, her own brilliant work of art. 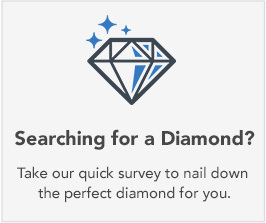 Modern engagement rings draw inspiration from technology, materials, and modern construction techniques. They feature design elements including asymmetry, tension, texture, geometry, and motion. 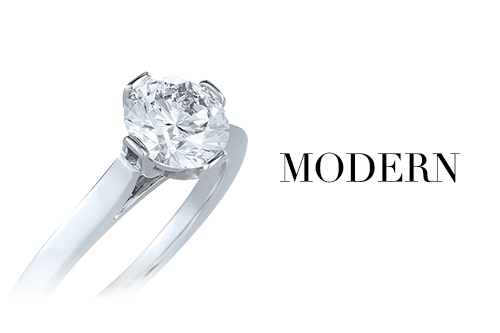 A modern engagement ring for the woman who's always one step ahead. 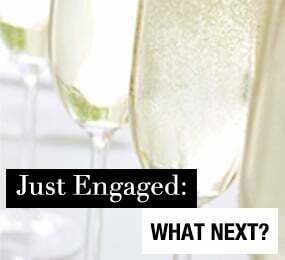 A modern engagement ring uses high-tech techniques for innovative settings, creating artistic juxtapositions of past and future, delicate and strong, hard and soft, abstract and organic. The modern woman is strong, confident, and artistic, with an appreciation for clean lines and bold colors. She is intelligent and gentle, feminine and powerful, classic and innovative. She is a fascinating combination, beautiful to the core. 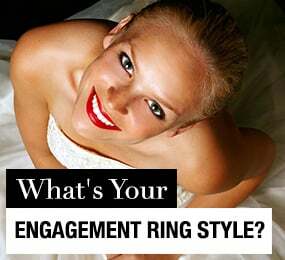 Unique style engagement rings are unusual, uncommon, and exceptionally beautiful. 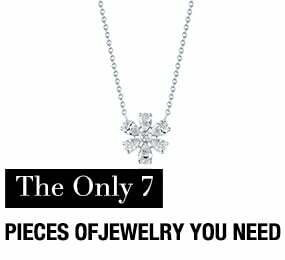 These out-of-the-box designs offer a stand-out look that gets noticed! 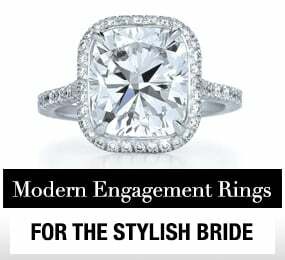 Not for the faint of heart, unique style engagement rings defy and redefine conventions into new artistic directions. 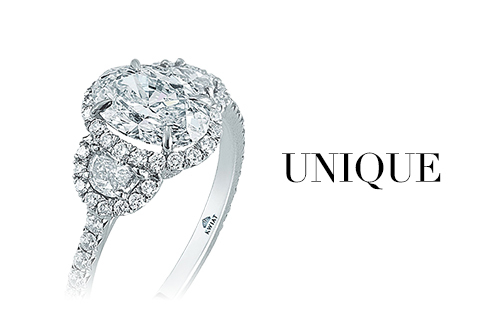 Hard to define and impossible to ignore, these unique styles offer new and exciting directions for the art of ring design. 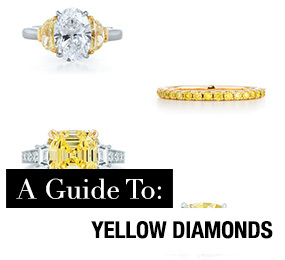 A unique engagement ring is one-of-a-kind . . . just like the woman who wears it. The unique woman knows who she is, and she's not afraid to show it! She is charismatic and unconventional, combining tradition and innovation in ways all her own. Beautiful, natural, exceptional, she always turns heads with her unique and undeniable appeal. She can't help it; she's just amazing. There is no one quite like her; beautiful beyond compare.